Mr. Ciment was a true professional, after our initial meeting he kept me informed of the process and the steps that he was taking in order to get the results we were looking for. 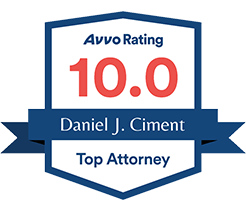 At the end he got the lawsuit dismissed and his work was excellent, he provided me with information and options throughout the entire process and I appreciated his letters with information I needed to have. I recommend his services to anyone who has a pending matter about financial issues.